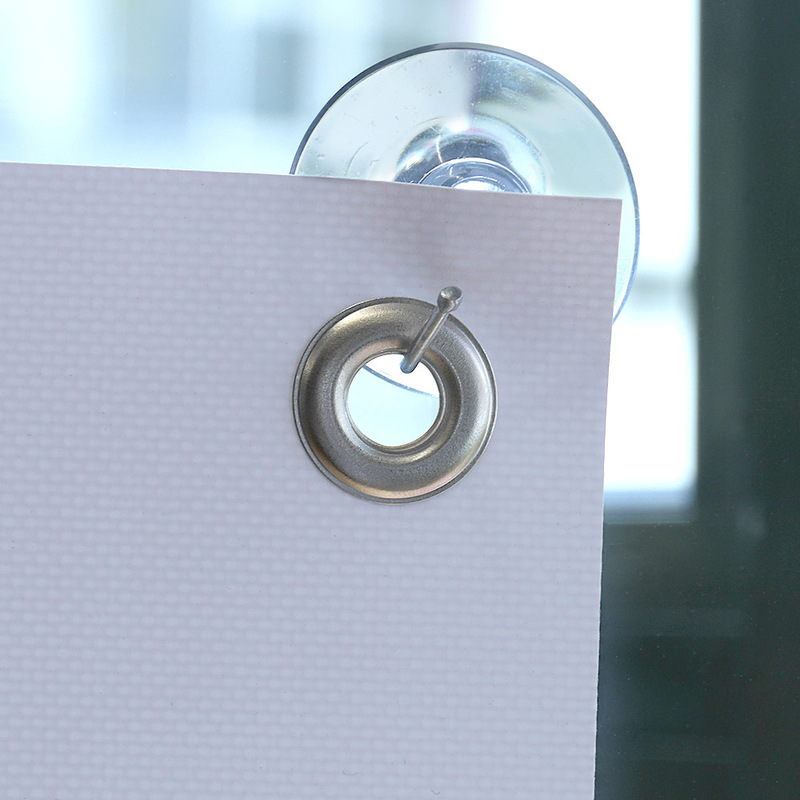 The suction hooks are suitable for all our products manufactured with eyelets. 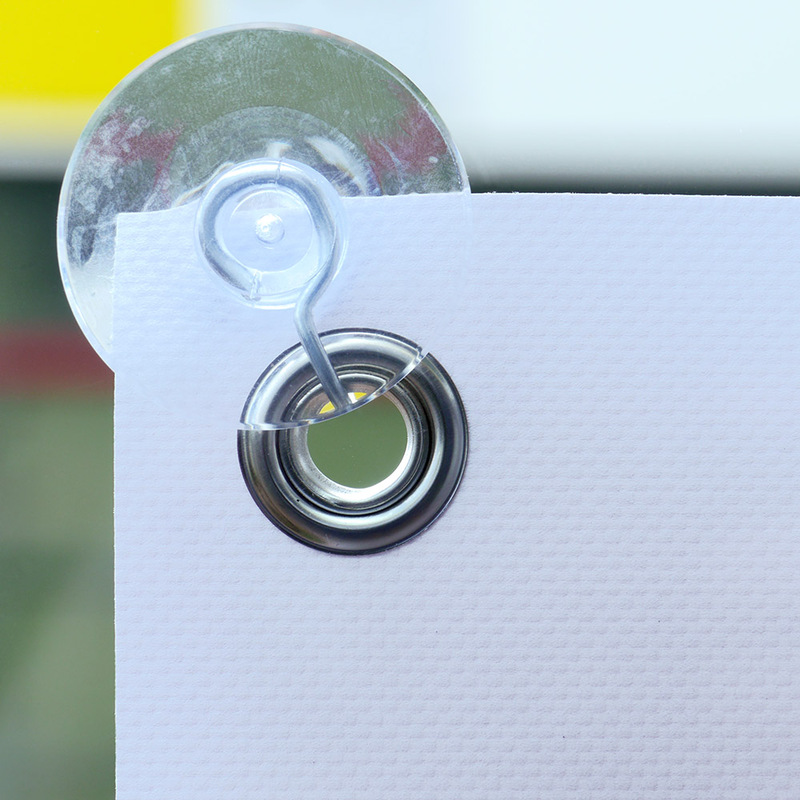 They can be used for mounting small advertising vinyl or mesh banner, Decotexx or flag fabrics. 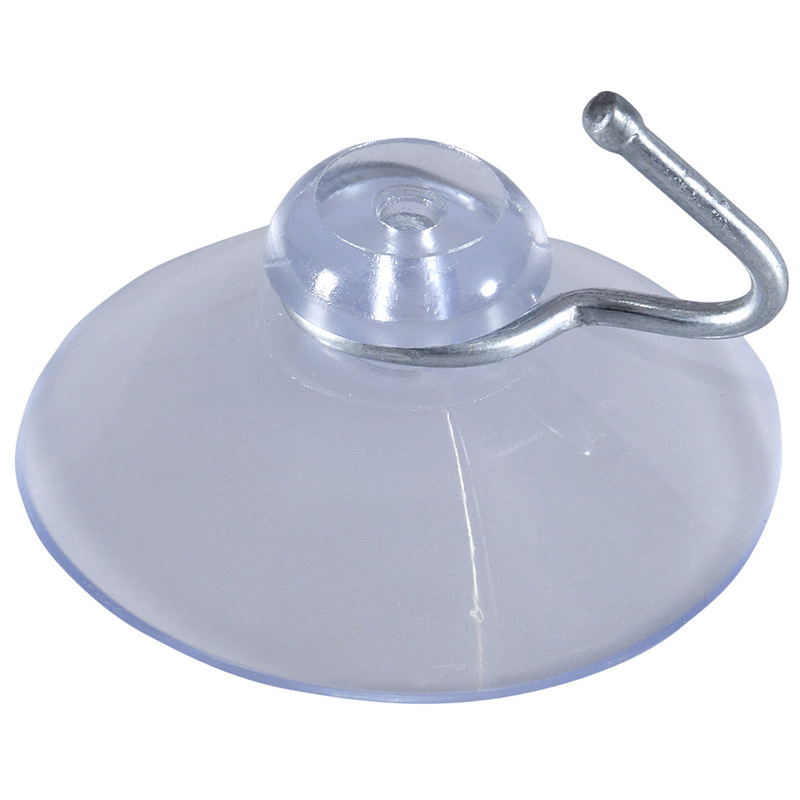 The suction cup can be attached very quick and easy to glass panes and other smooth, non-greasy surfaces to pin the desired product. This type of presentation is ideal for short-term advertising campaigns such as new-openings, broker information or often changing advertisement. It is particularly advantageous that the suction cups are reusable, removable without residue, and can be used without adhesives or tools.